Print GHS compliant labels and secondary container labels in a multitude of sizes and languages. Print Globally Harmonized System (GHS) compliant labels that contain all of the required elements. 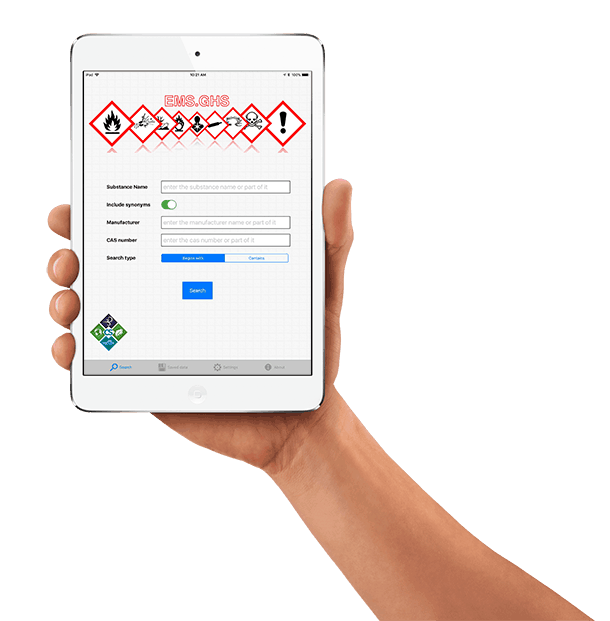 Chemical Safety’s cloud-based GHS labeling software allows you to find, display, and print GHS compliant labels in a multitude of sizes and languages. Our GHS labeling software has built-in tables with all of the GHS Hazards and GHS precautionary codes, as well as the signal words and pictograms associated with manufacturer specific chemicals. All of this is available in a cloud-based web application as well as Android and iOS mobile applications which provide wireless access from iPhones, iPads, and Android devices. Signal Word: used to indicate the relative level of severity of the hazard and alert the reader to a potential hazard on the label. Hazard Pictograms: graphic symbols used to communicate specific information about the hazards of a chemical. Precautionary Statements: describe recommended measures that should be taken to minimize or prevent adverse effects resulting from exposure to the hazardous chemical or improper storage or handling. Hazard Statements: describe the nature of the hazard(s) of a chemical, including, where appropriate, the degree of hazard. Product Identifiers: describe how the hazardous chemical is identified. Chemical Safety’s GHS labeling software is tightly integrated with EMS’s Chemical Inventory Tracking module so it allows for fast and easy printing of inventory container labels with GHS pictograms as well as barcodes. Since inventory items are linked to Safety Data Sheets, extra steps are not required to print GHS compliant labels. The need to store and maintain pre-printed GHS labels is eliminated because on-demand printing is quick and easy. What Precipitated the Need for GHS Labeling Software? GHS is an acronym for the Globally Harmonized System of Classification and Labeling of Chemicals, a framework that standardizes the classification and labeling of chemicals worldwide. Its goal is to establish criteria for the classification of health, physical and environmental hazards, and specify what information should be included on hazard labels as well as safety data sheets. For additional information on the GHS labels, visit our Globally Harmonized System (GHS) Cheat Sheet page.